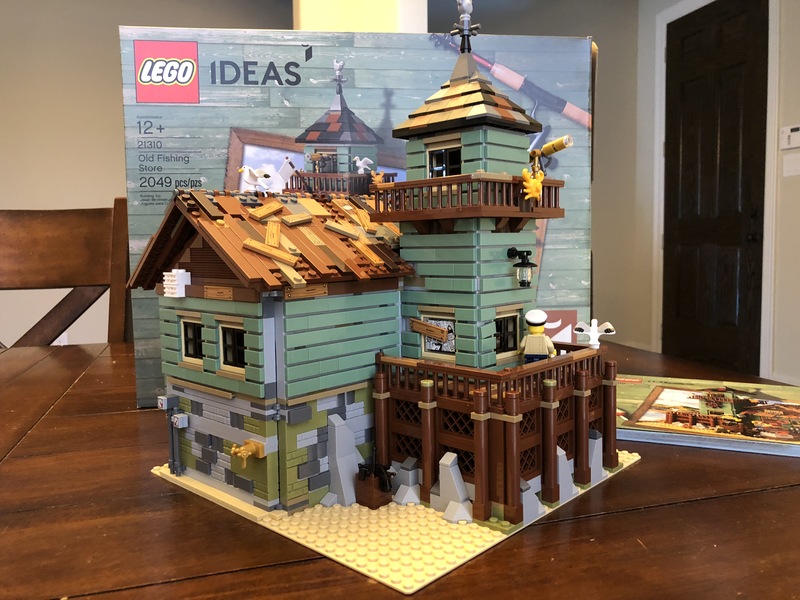 LEGO® Ideas is probably one of my top 3 favorite lines of sets that LEGO® has produced. While I have not purchased all of the sets that have come out, I have acquired quite a few of them, starting with the Hayabusa. That was back when it was called LEGO® CUUSOO, and only took 1,000 LEGO® CUUSOO members to get it to production status! The detail has gotten better, and so have the sets! 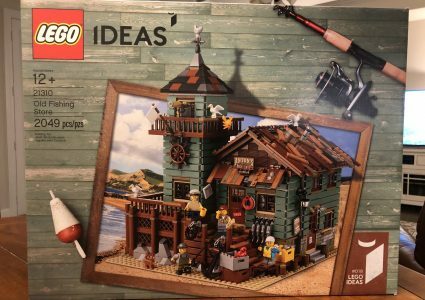 Today I want to focus on the LEGO® Ideas Old Fishing Store. Designed by LEGO® Ideas member, RobenAnne, the Old Fishing Store is just one of seven sets that he has posted to LEGO® Ideas. Out of those seven sets, only two have not made it to the 10,000 supporters mark. Both of those sets are equally beautiful, so take the time now to throw some support his way. The Creole Inn and Captain Rob’s Wharf need your support! 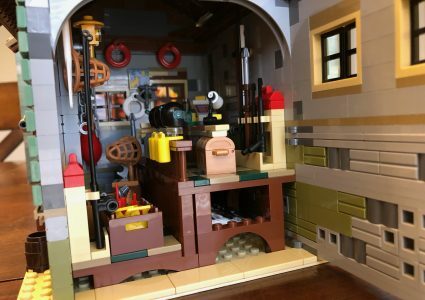 Personally, I think that LEGO® needs to build all of the sets that RobenAnne has submitted. 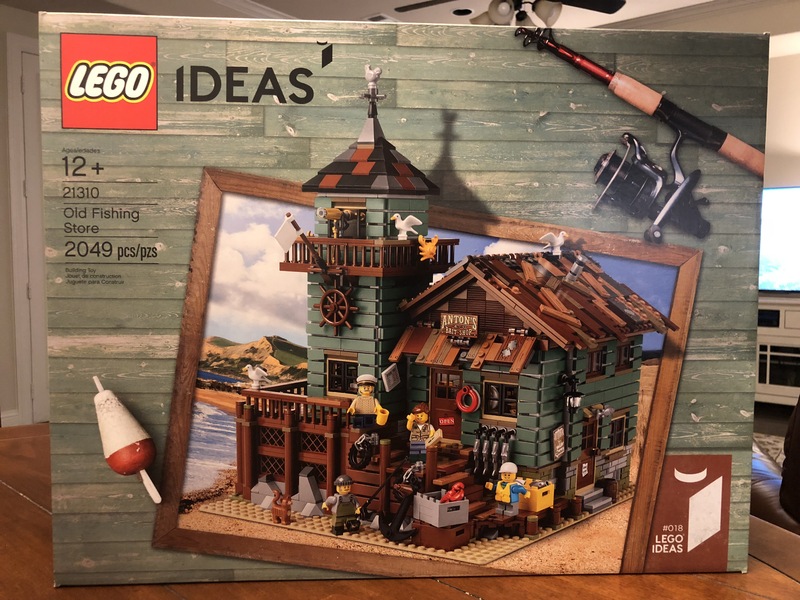 I think it is time for a Seaside Village line of sets! 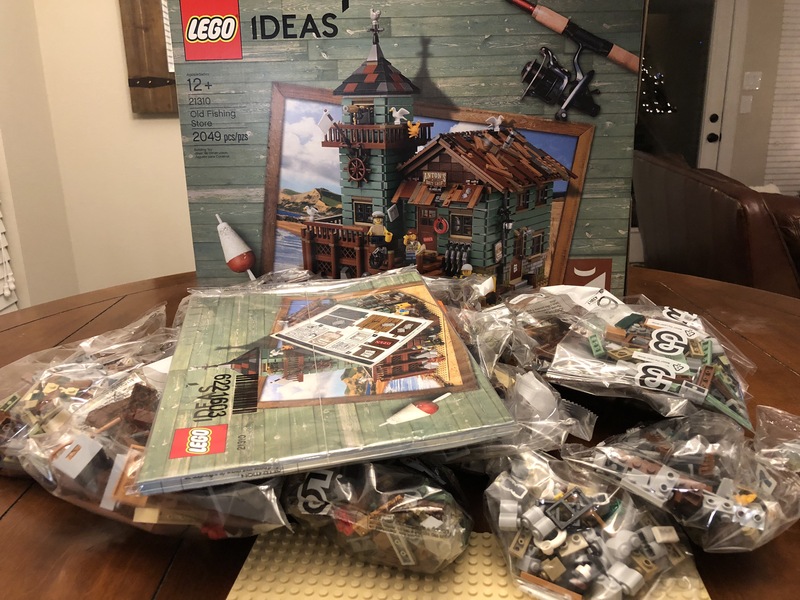 Enough of that, let’s move onto the Old Fishing Store! Starting from the build, you find out how much detail is put into this set. Just 13 steps into build the set, and you’re already putting in a little detail that will get lost on most people viewing the set. While this is just a simple spider and its web, it sets the tone on what is to come. As you progress, you start to get a feel for the store. On the exterior you start to place plenty of bricks with horizontal knobs, and on the interior lots of 1×2 plates with knobs, as well as 1×1 plates with holders. There are also plenty of profile bricks of various sizes to add to the high level of detail in this set. This also comes with an impressive number of printed plates. And yes, despite the high number of printed pieces, LEGO® still includes a sticker sheet with this set. Once you get done with the build (and stock the store), you really start to appreciate what LEGO® and RobenAnne have done with this set. 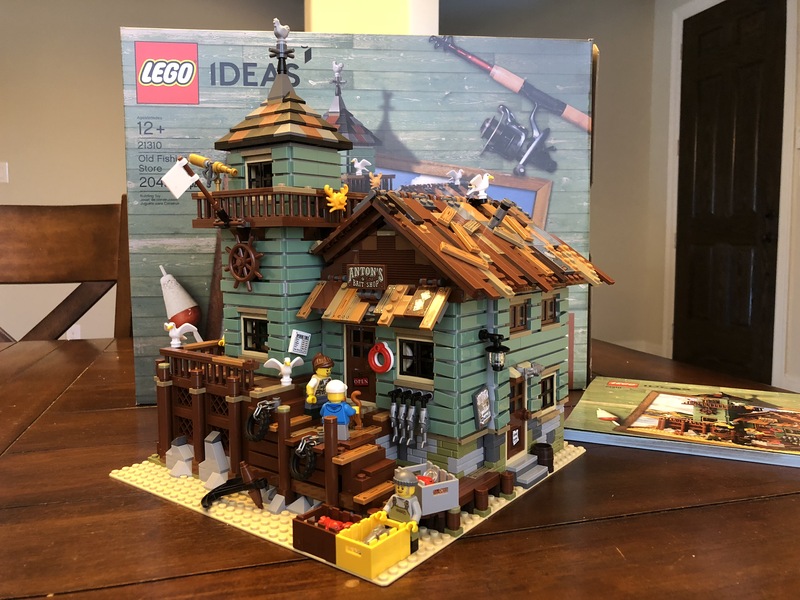 You could literally open up a LEGO® fishing store with this set. There are tons of accessories to put into this store, from fishing poles to plates acting as a box of fish hooks, this store has it! Want to scuba dive? Get your gear here! Hey, you want to do a little blast fishing? Come see us! Actually, don’t go blast fishing. It is bad for reefs, plus it is highly illegal! If you’re not so great at fishing, you might be able to buy some of the day’s catch sitting on ice in boxes outside of the store! And at the end of another day’s work, the owner can slip away to his office, climb the tower and step outside to enjoy the sunset, or perhaps look for dolphins and whales off in the distance. 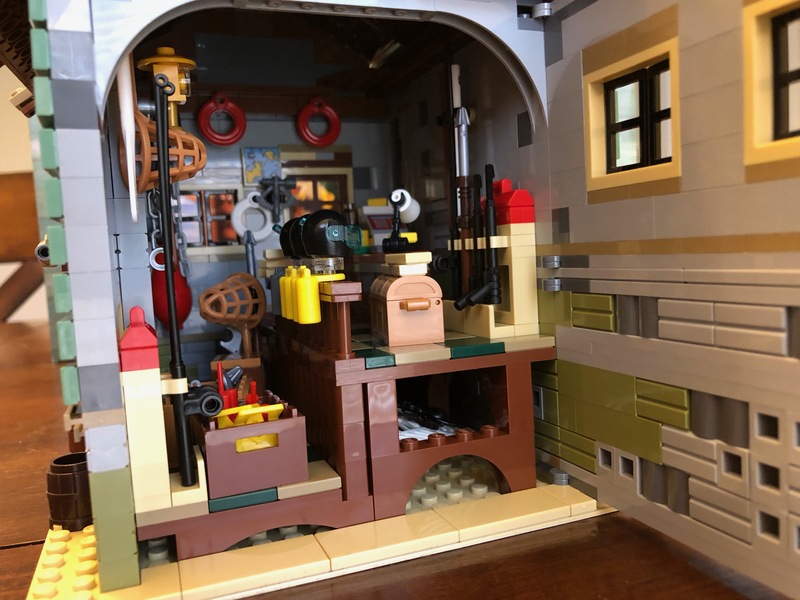 The set does feature a wall that opens to access the store, plus, you can take the roof off of the store, as well as take the tower apart to access the Captain’s office. This makes the playability for this set very high! The four minifigures included are awesome, I love the Captain’s hat and his sweater. Plus you get a cat, and three seagulls! There are so many details to discover in this set. The only fault I can find is the sticker sheet, otherwise this set is so well done. So good, in fact, it may make you want to grab a pole and do some fishing!